With the weather finally getting warm and the days getting longer, can you guess my inspiration for today’s post? 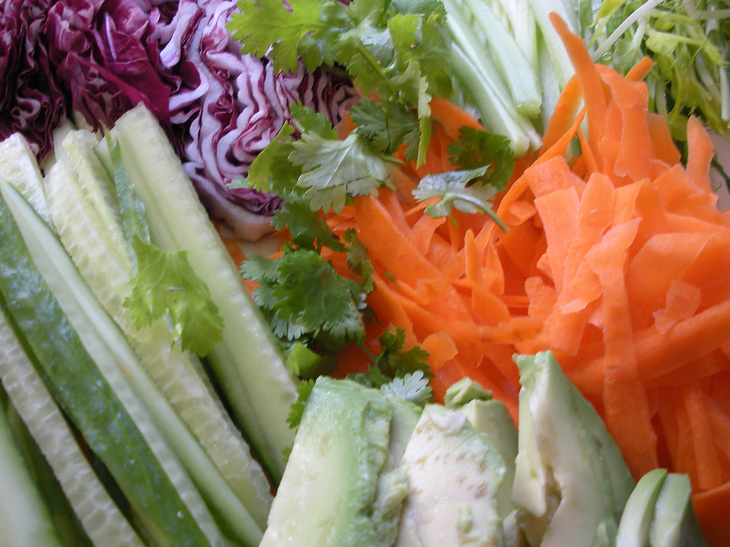 These spring rolls are fun to make and great for a light lunch or midday snack. 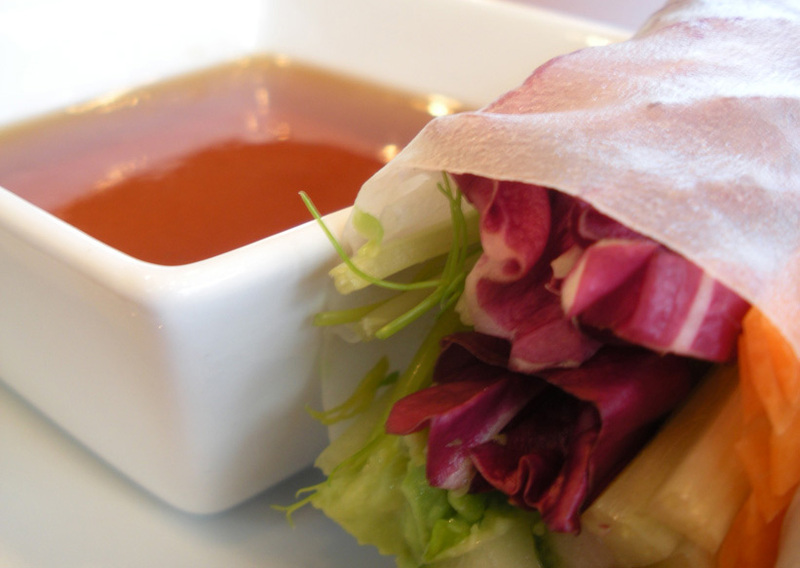 Crispy, fresh, and complimented nicely by the flavorful sweet sauce. 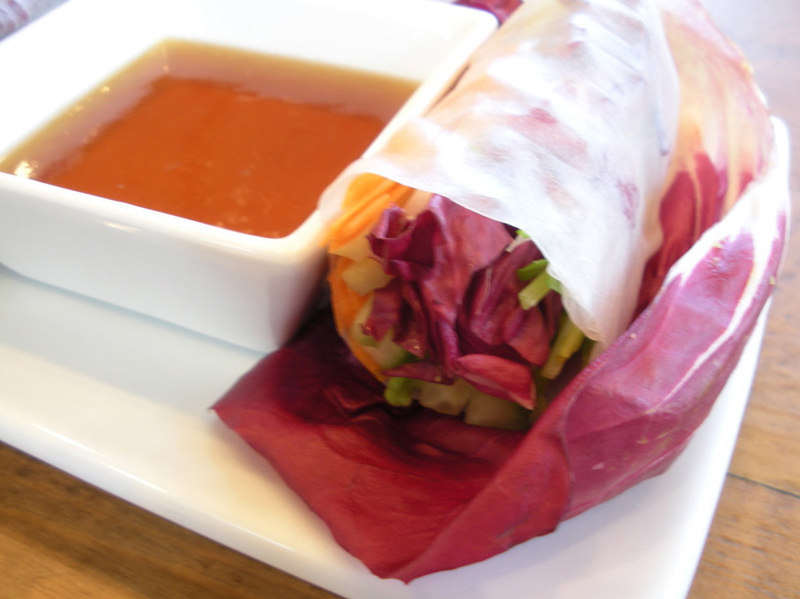 The recipe makes about four rolls and half a cup of dipping sauce. In a small saucepan over low heat, dissolve the sugar in the vinegar. Add the rest of the sauce ingredients and stir to combine. Simmer for about 10 minutes, stirring occasionally, so the sauce can reduce and thicken. Take off heat and set aside. 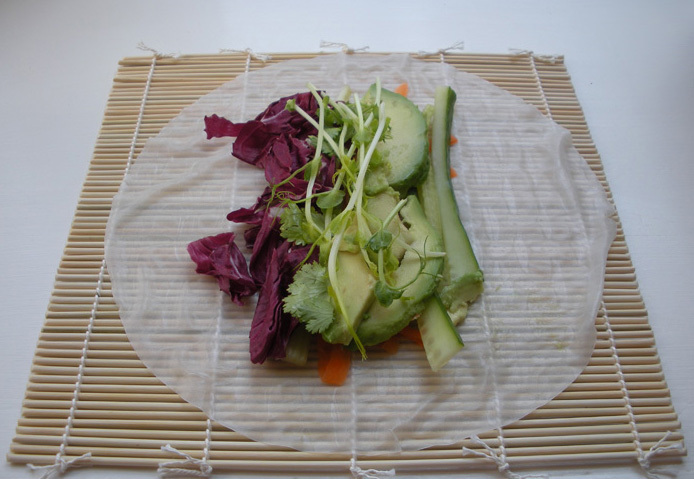 The spring roll wrappers are brittle when you get them from the store. To cook them, fill a skillet with an inch or two of water and bring it to a simmer. Hold the wrapper on one side and dip the other half in the water. Hold it there for a few seconds, until you can feel that it goes soft. Then, pull it out of the water and carefully turn it so that you’re holding the soft end and dipping the first half in the water. When the whole wrapper is soft, let the excess water drip back into the skillet and lay the wrapper out on a cutting board or other surface. 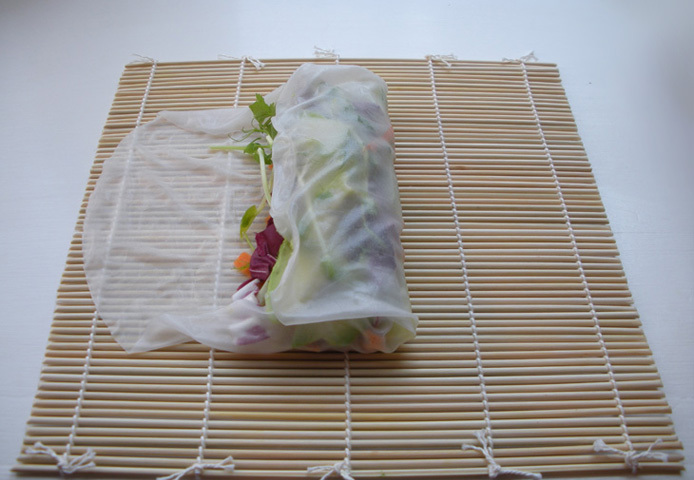 Lay the vegetables down the middle of the spring roll wrapper, leaving an inch or so at the top and bottom. 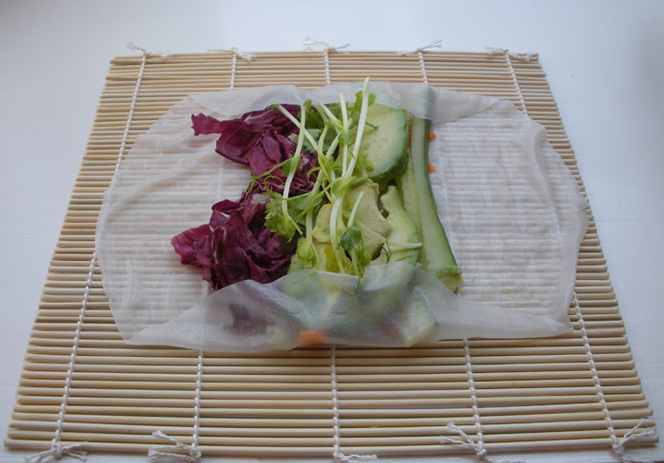 Fold the top and bottom of the wrapper over the vegetables. Fold the right side of the wrapper over the vegetables. 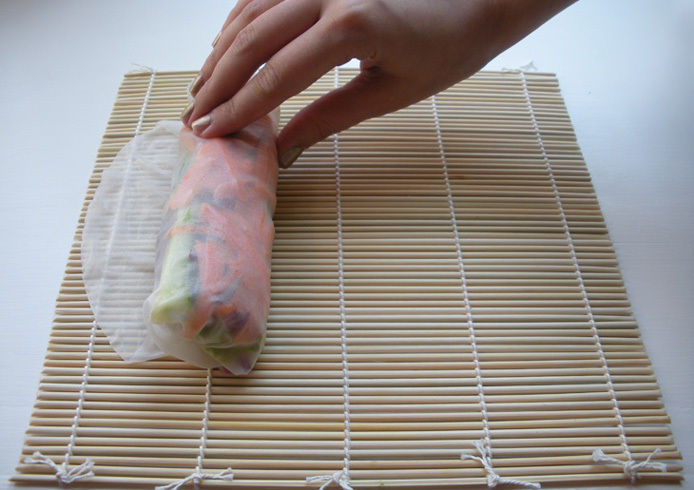 Gently push the vegetables to the right, pulling the right side of the wrapper tightly over them. Then, continue rolling as tightly as you can. 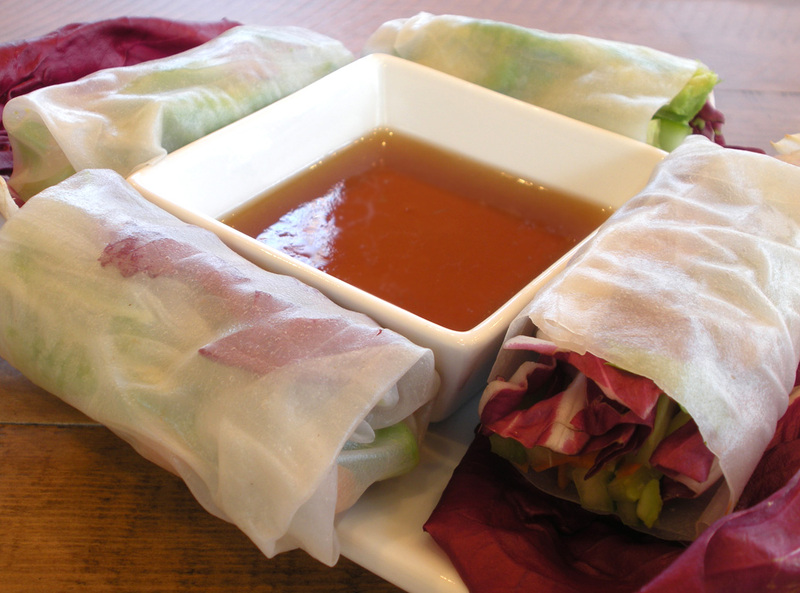 Cut the spring rolls in half, if desired, and serve with the sweet and sour sauce.